Those who enjoy playing Street Fighter 5: Arcade Edition will be up for more enjoyment starting this week as they will get to play fighting president G, as well as well-known Ryu’s rival Sagat. The two characters were initially introduced by Yoshinori Ono at Evo 2018 today, adding that both characters will be available on Street Fighter 5 today, Aug. 6. Here’s something to know about Sagat and Fighting President G, before you start playing them. G is a mysterious man and the President of the World, although he proclaimed himself as such. He is able to use his powers at full strength by absorbing energy from the Earth itself. His attacks are magma-based, and he uses his powers to support his own mission of uniting the people of Earth. In a gameplay video below, fighting president G can be seen using some of his most powerful attacks, Maximum President and Dangerous President V-Trigger moves. If you grow fond of this character, it’ll probably be great to use in tournaments. As mentioned above, he’s not the only player joining Street Fighter 5, as G is accompanied by Sagat. In the original game, Sagat appeared as the final boss. That said, he’s certainly not an easy game. Now that he’ll be active in Street Fighter 5, he will come with a handful of powers while his familiar Tiger Shot, Tiger Uppercut and Tiger Knee Crush moves will return. Tiger Charge and Tiger Assault moves are part of his V-Trigger Moves. Those who remember the character, also remember how much Sagat resonates with these big and wild cats. With Sagar’s arrival, we will also get to play a new stage, King’s Court in Street Fighter 5. The stage is based on the character’s stage that appeared in Street Fighter 2. How can you get them to the game? Sagat and Fighting president G can be purchased individually for $5.99. However, if you are not eager to spend real-life money on the game, you can purchase each for 100,000 Fight Money. Both characters are also available as part of the Season 3 Character Pass for MSRP, costing $29.99. Additionally, the Character Pass also includes previously released characters, Sakura, Blanka, Falke, and Cody. 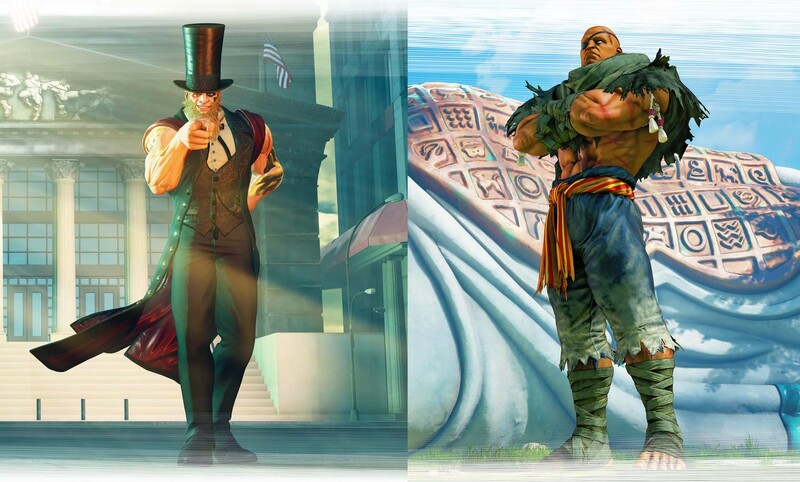 In the press release by Andy Wong of Capcom, it also says that if you purchase G or Sagat as part of the Season 3 Character Pass or with actual money, they also come with the Battle Costumes, featuring colors 3-10, as well as the default costume colors 3-10.
Who is your favorite Street Fighter 5 character, and why?